There is a growing movement across the country to share the ever-increasing amount of data governments generate to increase transparency and provide citizens, businesses and researchers with information they can use to develop innovative solutions for the public good. In 2015, the City adopted an Open Data policy to support these efforts. To date, the City of Houston has published over 200 datasets to the Open Data Portal and catalogued more than 1,200 datasets in this effort. City of Houston - Open Data Built by Community Partner - HandBuiltBrands. 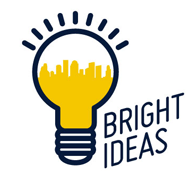 Want to get engaged with your City and develop solutions to improve your community? Come join us! The City of Houston partners with Sketch City, an open, non-profit community of technology advocates and civic hackers to design, develop and implement solutions for the public. What are the biggest problems facing Houston? What tools do we have to solve them? Rice University and the City of Houston have joined forces to create Houston Solutions Lab — a first-of-its-kind effort between the organizations charged with answering those questions. It has a single mission: to find innovative ways of making the city work better.